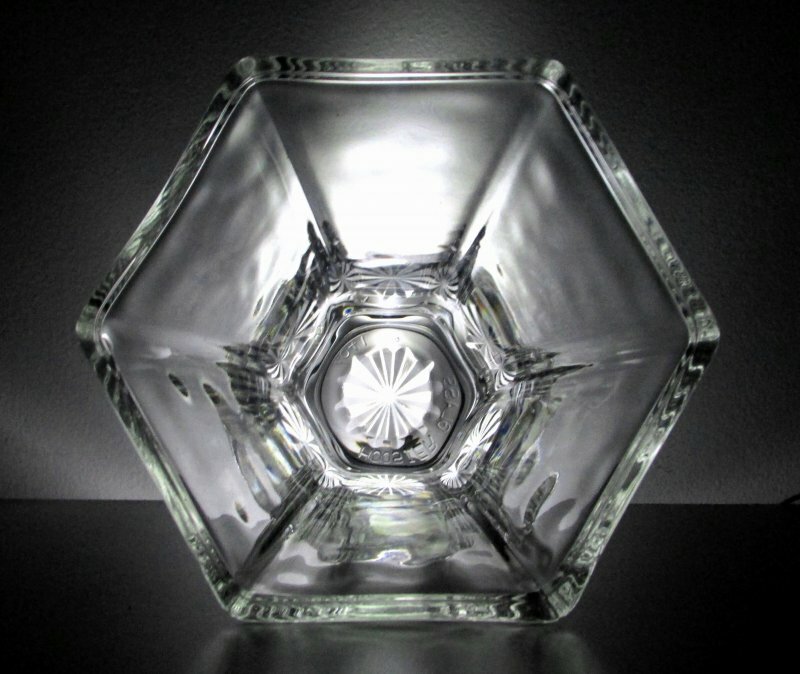 Elegant flower vase accented with hexagon shape that extends vertically from the bottom and flaring out to the top. Heavy and very stable. Approximate measurements are 9 inches tall and flares to 5 3/8 inches wide at the top. This lovely vase will show off your most beautiful arrangements and centerpieces. 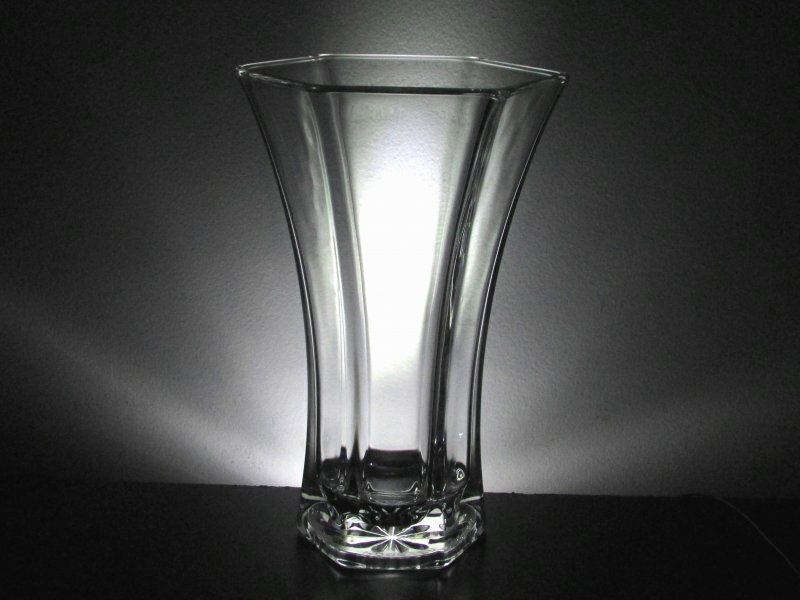 Elegant flower vase accented with hexagon shape that extends vertically from the bottom and flaring out to the top. Heavy and very stable. Approximate measurements are 9 inches tall and flares to 5 3/8 inches wide at the top. 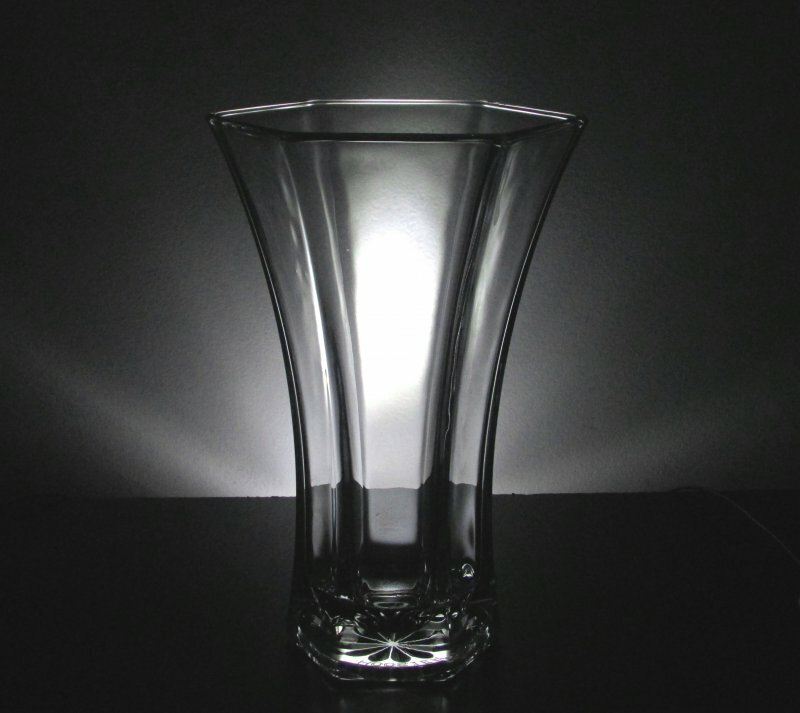 Base is 3 5/8 inches at widest point.This lovely vase will show off your most beautiful arrangements and centerpieces.